Georg Christl was born on 3 October 1913 at Pfaffenberg in Niederbayern. Christl participated in the Battle of Britain with III./ZG 26. On 31 August 1940 he escorted Do 17 bombers to raid Duxford and was intercepted by RAF fighters. His aircraft was hit and Oberleutnant Christl was obliged to crash-land back at his base Arques in France. Christl was Staffelkapitän of 7./ZG 26 based on Sicily flying Bf 110s in December 1940. His role was to protect the supply routes from Italy to North Africa. He would also be called upon to attack enemy shipping, perform reconnaisance missions and freie Jagd patrols and support the ground forces during the campaign in North Africa. He also participated in the invasion of Yugoslavia and flew missions over Malta. On 9 April 1941, Hauptmann Christl was leading 7./ZG 76, escorting He 111 bombers raiding Tobruk harbour. The formation was intercepted by RAF Hurricanes and during the ensuing combat Christl claimed one shot down. His victim was the RAF ace Flying Officer George Goodman (12.666 destroyed and 2.333 damaged victories) of 73 Sqn, who force-landed within the outer defences of Tobruk unhurt. In December 1941, 7./ZG 26 was transferred to Derna in North Africa to counter the Allied counter-attack, Operation Crusader. Hauptmann Christl assumed command of III./ZG 76 on 25 December 1941.  He was to lead the Gruppe until its withdrawal from the Mediterranean theatre, being awarded the Ritterkreuz for his leadership in the desert on 18 March 1942. He finally relinquished command on 12 July 1943 when the Gruppe was withdrawn from Italy back to Germany. 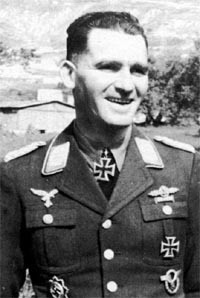 Christl was transferred to a staff role with the General der Jagdflieger. Major Christl was posted to Parchim in July 1944 to command Jagdruppe 10, an experimental testing unit of specialised anti-Bomber weapons, until the end of war. Georg Christl was credited with seven victories, although one source has credited him a victory total of 19.